1 What’s The Difference Between String Trimmers & Brush Cutters? 2.1 Which Is Best: Gas, Electric, or Cordless? 2.2 Dual or Single Line? 2.3 Straight or Curved Shaft? 2.6 Bump Head Or Automatic Head? You’ve gotten the lawn mowed wherever the mower would fit. 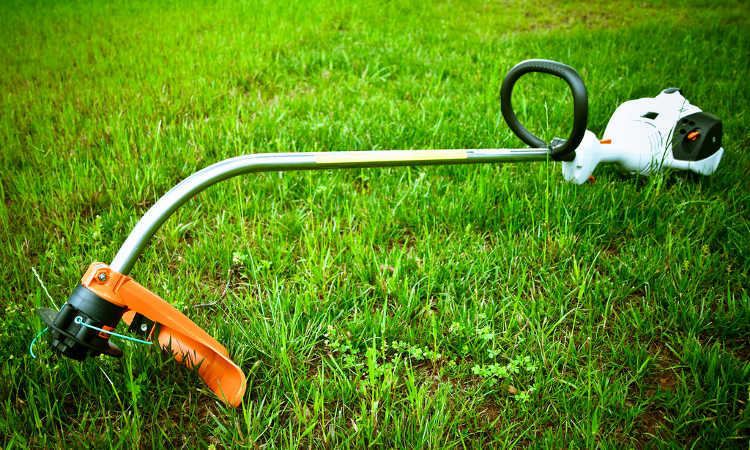 You’ve used your lawn edger to clean up along the sidewalk and driveway. But you still need to get around the garden beds, and then there’s a narrow path where the lawn mower just wouldn’t fit. Now you need the best string trimmer you can find to get in the odd places! 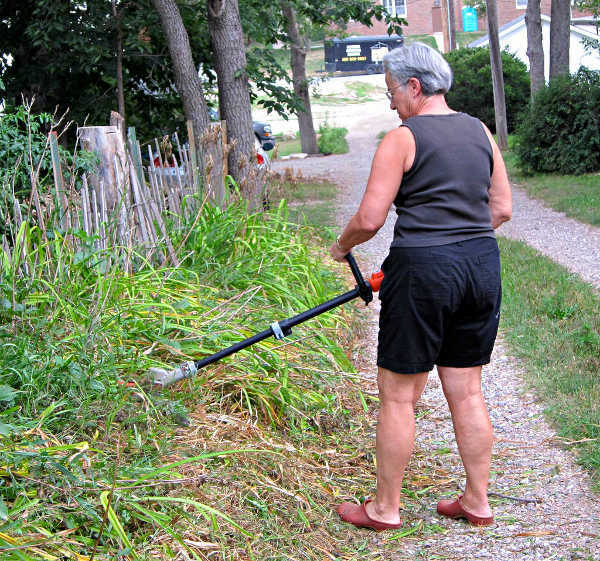 A string trimmer can be used in lieu of a lawn mower in awkward spaces. 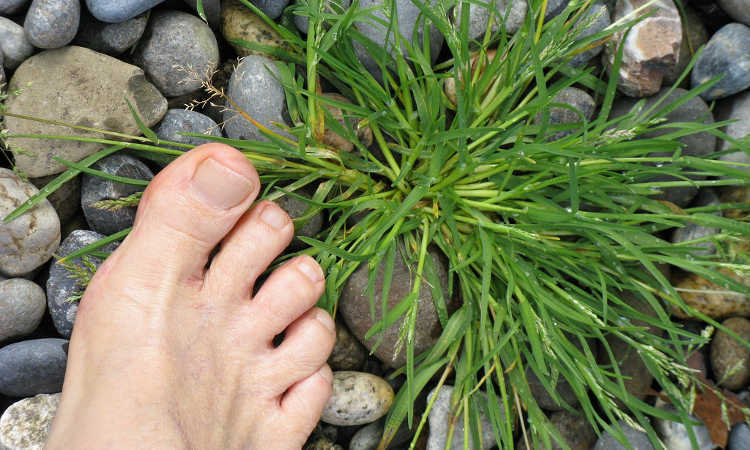 It can be used as a way to contour the edges of your lawn, or to take down some annoying weeds. They’re incredibly handy to have on hand. So today, we’ll dive headlong into the world of the string trimmer. I’ll go over the various features which most of them have, and the differences between an electric string trimmer, gas string trimmer, and a cordless string trimmer. And by the time we’re done, you should know the best string trimmer for your particular needs. 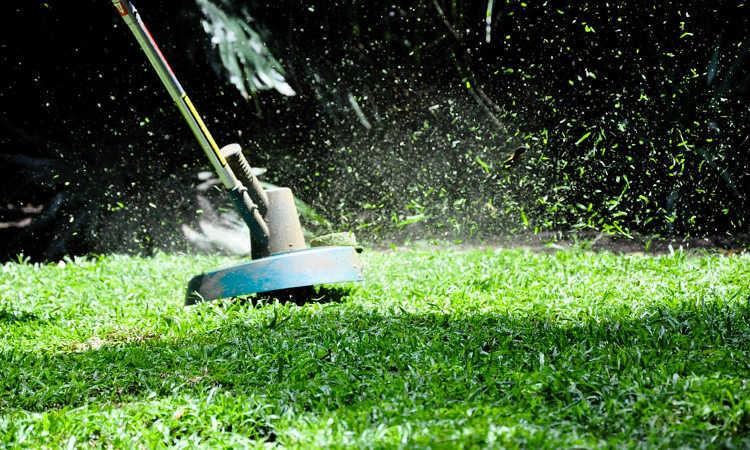 What’s The Difference Between String Trimmers & Brush Cutters? I’ve covered this before in my article on the best brush cutters. 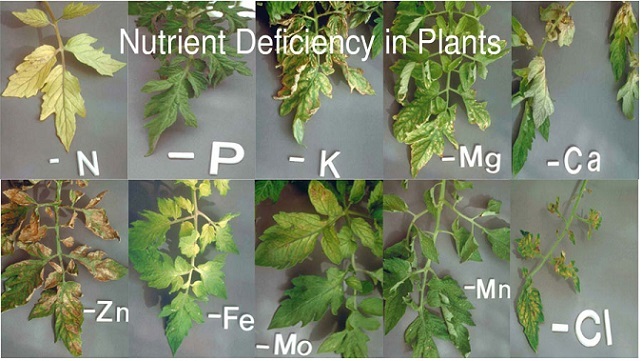 Just in case you haven’t had a chance to read it yet, let me break down the differences. After all, these two pieces of equipment are often confused with one another. For most homeowners, all they’re ever likely to need to neaten up the edge along the driveway or raised bed is a string trimmer. Nicknamed the weed wacker or weed whacker, and sometimes weed eater, string trimmers use one or two pieces of nylon cord to do the cutting. As the cord spins under the motor’s power, it slices cleanly through grass, light weeds, and soft materials at the height you’re holding it. But if you have lots of woody brush, or thick and dense masses of grass, it may not be able to cut through. What materials might be too tough for your string trimmer can be taken out with a brush cutter. Swapping out the nylon cord for an actual blade, brush cutters are less effective on grass and softer materials. However, a brush cutter can easily take down rugged growth like tumbleweeds or hardened vines. 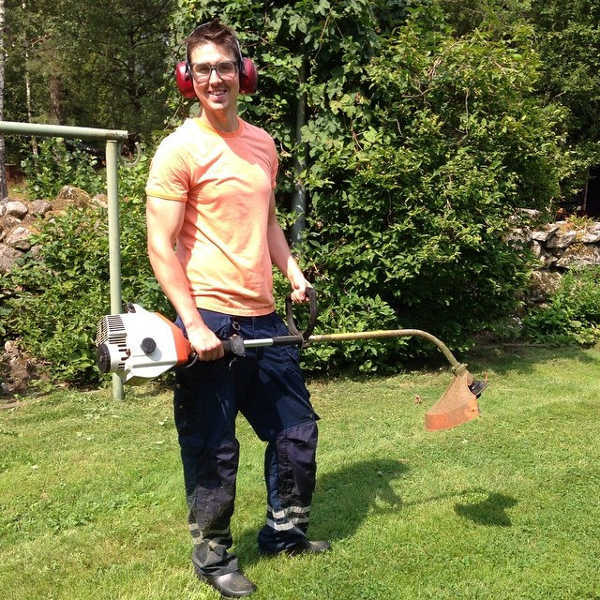 These devices are made for clearing out the deadwood and rough scrub around your property. If you’re trying to maintain a fireline around your property, a brush cutter will serve you well. But for maintaining your yard, it’s overkill. String trimmers are pretty simplistic, but there are a number of variations out there. Here’s the lowdown on some of the features out there to help you decide on the best string trimmer for your needs. Which Is Best: Gas, Electric, or Cordless? Answering this really depends on how you plan to use your device. If you have a small space to trim, a cordless model is likely your best bet. Lightweight and easy to manage, a cordless string trimmer will offer you a great trim job without being tethered to a long extension cord. People with larger lawns or a lot of edging work should consider an electric weed whacker. Electric string trimmers have a consistent flow of power without having to stop to swap batteries or recharge. Available in multiple head sizes, these devices also tend to have hybrid versions available that include other attachments. For most people, a cordless or electric string trimmer is ideal, as both are lightweight and easy to manage. But what if you don’t have ready access to power where you’re working, or you’re likely to be cutting through thicker, dry underbrush or heavy grass with lots of hard stems? That’s where a gas string trimmer comes into play. 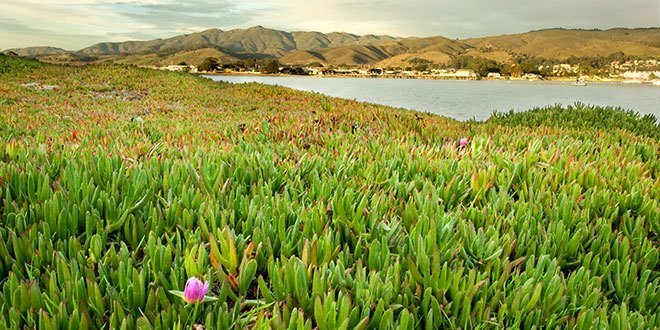 Grass weed wackers tend to have much higher torque and will blaze through jobs easily. However, the weight of the motor on top makes them top heavy and it takes practice to manage these. Professional gardeners tend to opt for gas weed whackers simply because they don’t need to be worried about power, but gas models also require regular maintenance on the motor. Because of these things, the average homeowner might want to stick with an electric or cordless lawn trimmer. Unless you’re going to be dealing with some very rugged grass or weeds, you just don’t need the headaches that come with gas. This is honestly a matter of preference more than anything else — you use what you’re most familiar with. For the average homeowner, a single line string trimmer is the easiest and cheapest way to go, provided that they maintain their yard regularly. Single line trimmers are designed in a way where all of the power goes to one longer string, and tend to have a higher RPM. Dual-line trimmers have two shorter strings underneath the shield. These still rotate quickly, but not at as high of a RPM rate as single line trimmers. However, these tend to cut the surface grass more evenly. If you’re using your string trimmer to even up the look of your lawn between mowings, these are for you. While the majority of the string trimmer reviews I’m going to provide today focus on straight-shaft models, there are curved shafts available. 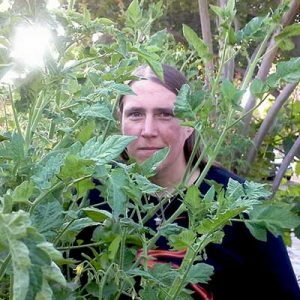 The major difference comes down to the length of the trimmer and the control that you have with it, but there are other things to take into consideration. In electric models, a curved shaft is more ergonomic for people who might be shorter. The entire unit is much shorter in length, which can also help if you’re working in tight quarters. This curved shaft makes it a bit more tricky to keep the trimming head level, but you can adjust to suit your space. A straight shaft will allow for a much greater reach, allowing you to trim underneath the edge of your deck or farther away from the body. Straight shafts also make it much easier to cut a flat surface. Many straight shaft models have alternative heads or different attachments. In terms of gas string trimmers, you’ll find that your gas weed wacker won’t have the same amount of torque if it’s a curved shaft model. The arching of the driveline makes it much less consistent in supplying power to the cutting head. However, the arch pays off by allowing you better support of the motor, making it much less awkward. By comparison, straight shaft gas string trimmers have much more torque and consistency, but the straighter shaft makes the motor feel more top-heavy. They can be more unwieldy to balance for long periods of time. Adjustable string trimmer handles are also available. These can be adapted to multiple lengths for ease of use, but are typically straight-shaft models. If you’ve got a lot of space to cover, or a lot of odd-shaped areas to get into, the size of the cutting path becomes important. There are many sizes of cutting heads available. They start at a 12″ radius and go up from there. 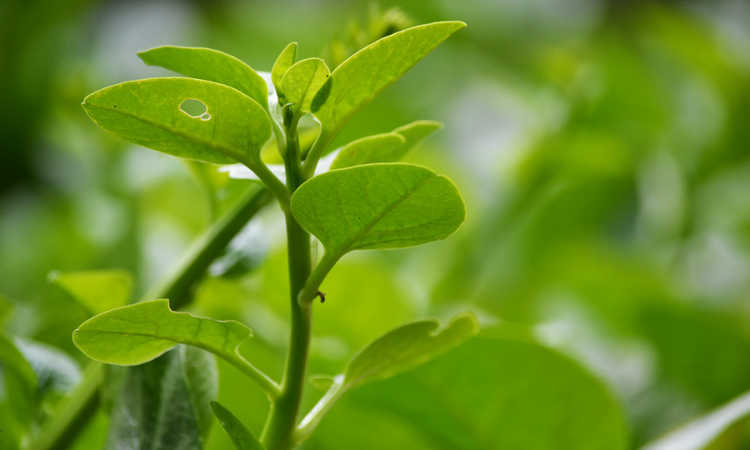 And, if you’re dealing with trying to trim down the weeds along the side of your garage in an awkward space, that may become important to you. Average household sizes tend to range from 12″-14″. You can find professional models up to 18″, but even then, most stick in the standard 12″-14″ range for simplicity’s sake. One of the biggest annoyances in using a string trimmer is the fact that it is using a nylon cording to do the cutting work. As it’s used, the string will wear down, and eventually you’ll run out. You need to be sure that you have a ready supply of trimmer string available before you start a job. While some companies offer easy-reload modules, these may not be available everywhere. Before purchasing your trimmer, try to find out what the preferred diameter of the trimmer string will be for your model. The thicker the string, the more likely it is to hold up to harder materials. However, thicker string will generally cost you more if you’re buying pre-loaded cartridges. Purchasing a reloading winder is an option as well. These accessory kits make it quick and easy to refill your string cartridge so you can get back to work. Bump Head Or Automatic Head? A good weed wacker doesn’t need to be manually tinkered around with to add extra length to its cord as it wears down. Two methods of string delivery are available: bump heads or automatic heads. Bump heads require you to tap the string trimmer against the ground to trigger line feed. Automatic heads do it on their own as necessary. It’s important to know which type you’re getting in advance, but they both are quite functional. This, too, is mostly a personal preference. If you’d prefer to control the feed of your line, then opt for a bump head. Those who want to simply cut without thinking about the line should opt for automatic feed. This professional-level gas string trimmer offers 17″ of cutting head, making it the largest of the options we’re going over today. At just shy of 11 pounds, this 2-cycle, 28cc motor is capable of handling other attachments such as pole trimmers or edgers. 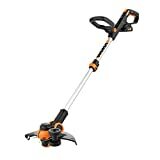 It uses a thick .095 diameter trimmer line to slice cleanly through your grass and weeds. Air purge technology will clear any air from the fuel or carburetor system of this gas weed wacker. It can be used with or without its shield, and the “Smart Start” technology makes it easy to start up. A detachable shaft makes it easy to transport or to store when not in use. If you’re looking for the best gas string trimmer for clearing the space around your home, or something that’s up to light professional-level work, this should be your go-to. Husqvarna has made a solid product that’s well worth the money spent. 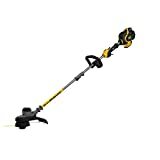 If you’re just looking for the best electric string trimmer for average residential use, I can’t recommend this model enough. Most of us want something that’s lightweight, reasonably durable, and easy to use. This Black+Decker trimmer has all of that under control. Straight-shaft construction, a durable guard shield, and an automatic feed system make this an easy-use device for even the most inexperienced of homeowners. You can purchase pre-filled reload cartridges or wind your own, although the latter is the cheapest option. A single-line system has high cutting force that can shear through most general weed-whacking work, and it’s surprisingly powerful. I’ve actually chipped the edge of concrete bricks with mine. And, with a 13″ head, it’s not too unwieldy and can fit into every nook or cranny. I can’t fault this string trimmer. It’s a great choice for yard care. The Dewalt string trimmer can accept either .080 or .095 line, which means that you can handle both the tougher tasks with the light-duty work. 60 volts of power gives you a motor that can handle both readily. Dual feed lines give you a nice, even cut surface, and it can do edger duty as well. The 15″ head enables you to clear out an area quickly and painlessly. It has a variable-speed trigger so that when you do hit a rough patch, you can kick up to high speed and tear the weeds down. With battery, it weighs around the same as a gas model, but you don’t have the headache of gas maintenance. A shoulder strap will help support the load. Get a spare battery if you’ve got a long job ahead of you, but for most people, this is the most powerful machine they’ll require for yard trimwork. So, you want one device to do everything? Have I got a pick for you. 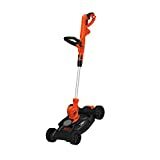 This Black+Decker device is convertable from a string trimmer to an edger to a compact lawn mower. Snap the trimmer into the mower base, and you’re ready to mow those small spaces. Pop it free and use the edger wheels to guide yourself to a perfectly-edged lawn. Finish off by getting those awkward weeds around your trees and bushes with the string trimmer. 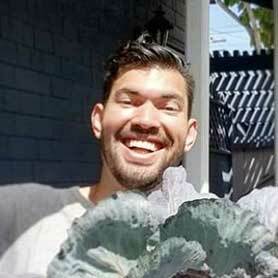 It’s only 12″ wide, making it perfect for apartment dwellers who don’t want to have lots of equipment but want their small yard space nicely manicured. It uses an automatic feed system, and the handle is adjustable for your comfort. 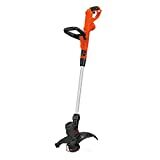 Really, for small-space dwellers, this is the best string trimmer hybrid you can get, and it saves you from taking up valuable storage space. If you’re looking for the best commercial string trimmer, this may be a great choice for you. Hitachi offers a 2-year commercial use warranty, expanding it out to 7 years for residential use. The steel shaft doesn’t add significant weight. In fact, it’s about a half-pound lighter than my overall best gas string trimmer choice. Dual-line feed provides a nice, clean surface cut to anything you plan on mowing down. 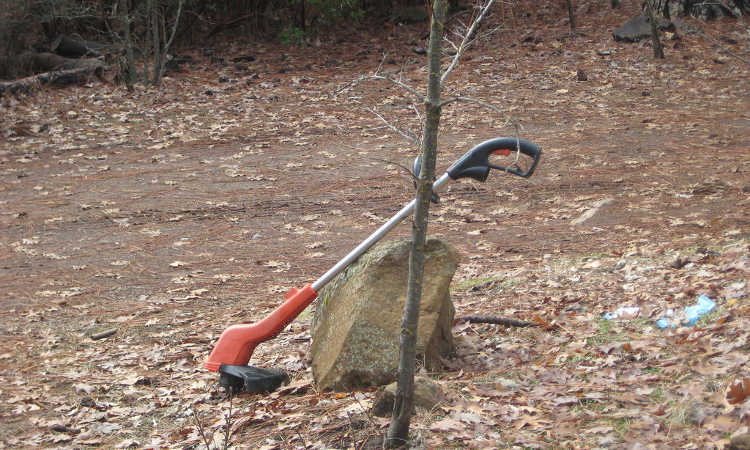 The weed whacker is well-balanced overall, and easy to use. All things considered, this is a quality device, and worth considering. 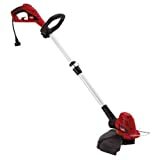 Telescoping shaft, 14″ head, and an edger guide wheel – the Toro electric string trimmer/edger has lots of variability. 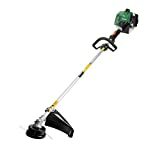 With a 5-amp motor and a dual-line cutting head, it will take down tall weeds and smooth out grass surfaces with ease. An automatic feed, just like my selection for the best electric weed whacker, makes the line feed process mindless and simple. It’s lightweight and maneuverable, and surprisingly easy to use. The only thing that stops this from being my overall recommendation for best electric string trimmer is that the cutting line they recommend (and which comes with it) is surprisingly lightweight. Since it’s an automatic feed model, you’ll go through that line rapidly and will quickly need more. I advise picking up a more durable line to refill the spool. Worx makes a line of 20-volt tools, and the batteries are interchangeable. This holds true with their cordless grass trimmer and edger as well. If you are a fan of Worx’s tools, you’ll love this model. The smallest of the heads we’re looking at today, this can clear a one foot wide strip without a second pass. Single-line, it runs on a bumpless automatic feed system. Dual inline wheels turn this from a weed wacker into an edger with just a simple repositioning. Its telescopic handle allows you to adjust the length to most easily suit your needs. Really, if the head was just a smidge wider, say the 14″ range, I would have pegged this as the best cordless string trimmer. But if you don’t mind that smaller head, it’s a great piece of equipment.